All of these efforts resulted in the protection of beautiful Mori Point for all time. The icing on the cake to the incredible sequence of events was the passage of federal legislation placing this property and other property, including the Pedro Point Headlands, into the Golden Gate National Recreation Area (GGNRA) boundary expansion. This was a necessary step toward future GGNRA acquisition of the properties. 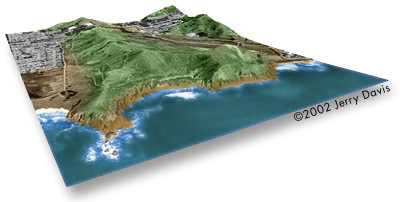 Saving Mori Point from commercial development became a reality due to a course of events beginning in July 2000. The then-owners of the property obtained a court order to sell the site at public auction, with $2.5 million as the minimum bid. TPL indicated it was willing to work with the Pacifica Land Trust to put together a public campaign to raise funds sufficient to participate in the auction. TPL found an angel who was willing to provide a no-interest loan of $2.5 million for acquisition. The California Coastal Conservancy pledged $1.0 million toward achieving the highest bid. On September 21, TPL won the auction, bidding against potential developers, for $3.3 million. Meanwhile, the PLT had begun an extensive grass-roots fund raising effort throughout Pacifica and the Bay Area to raise additional funds not covered by TPLs angel loan or the Coastal Conservancys participation. Land Trust members were overwhelmed by the support and appreciation shown by the community for this effort. This grand view represents the glory and strength of a community that stood together to protect a treasured wild place. Stephen Johnsons original photograph of Mori Point was part of our successful fundraising campaign. The photograph has now been memorialized into a breathtaking poster that measures a dramatic 12x54, perfect for your home or office. This limited edition poster is available from Stephen Johnson's Gallery at 1220 Linda Mar Blvd., for $25. Stop by his studio (or go to the web at www.sjphoto.com) and purchase a copy of this poster before they sell out! Part of the proceeds benefit Pacifica Land Trust.